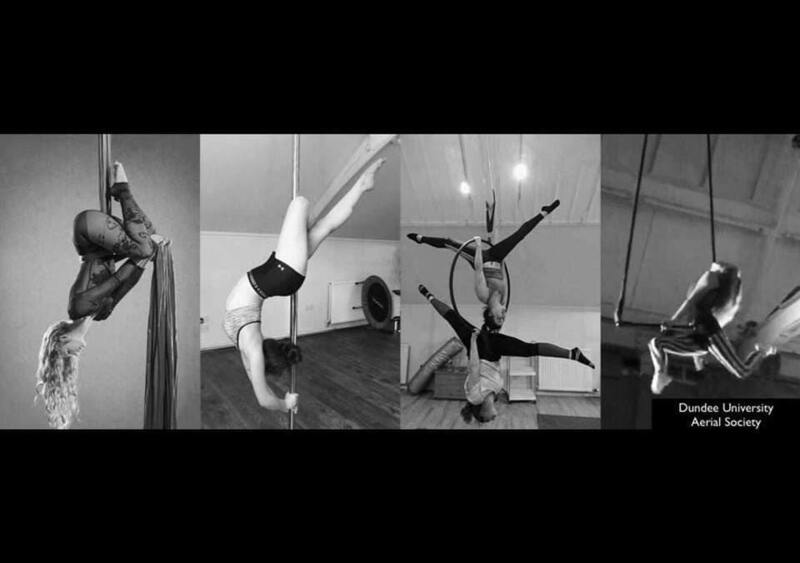 As Dundee University’s new aerial society, we are very excited to be offering weekly classes in pole, hoop, trapeze and silks for amazing prices! 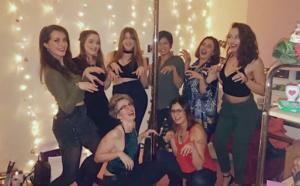 Pole and hoop classes will be commencing w/b 10th September at Pole Position Scotland, just a short walk away from Dundee campus. Silks and Trapeze classes will begin in October where a location will be confirmed very shortly. There are classes on offer to suit all levels and abilities in a very supportive and friendly environment. We are a very sociable society too, so we’re never short of socials throughout the year from nights out to movie nights in! We will also be offering an array of fun one-off workshop events throughout the year as well as our annual show event. Our annual show has been a huge success and is always the highlight of our club’s social calendar. We are very excited by the possibility of also including hoop, trapeze and silks performances alongside pole in our upcoming show which will take place in February 2019. 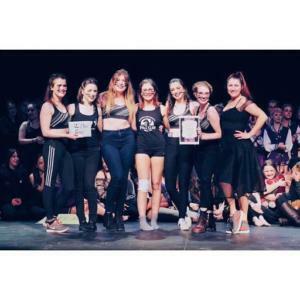 Within our pole faculty we will be forming a new competition team where there will be a chance for members to enter into Beginner, Intermediate and Advanced Solo categories as well as doubles and group categories in the Scottish University Pole Dance Championships (SUPDC) 2019 and the Inter-University Pole Dancing Competition (IUPDC) 2019. Pictured below is our team from our group routine last year who placed second in IUPDC!